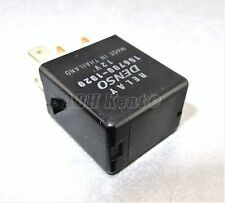 GENUINE DAIHATSU RELAY (DENSO - 0567005260) EFI RELAY / STARTER RELAY / RADIATOR FAN RELAY. Daihatsu Applause. Daihatsu Charade. Daihatsu Coure. Daihatsu Copen. Daihatsu Extol. Daihatsu Sportrak. Daihatsu Gran Move. DAIHATSU FOURTRAK. M929OKO 1994. WE WILL GIVE DETAILS WHERE POSSIBLE. DAIHATSU FOURTRAK. M929OKO 1994. GOOD WORKING ORDER. Daihatsu Almost All Models (1990 - 2015). 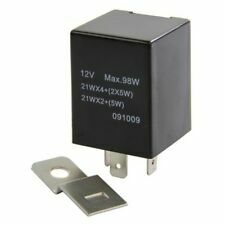 Genuine4 Pin Black Relay /Multi-Use Relay. Subaru Almost All Models (1990 - 2015). Made inThailand by Denso. GenuineSubaru PartNote. 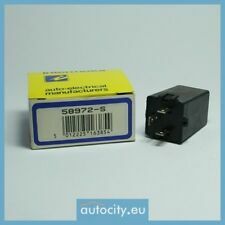 Daihatsu & Subaru 4-Pin Multi Use Black Relay Denso 156700-1020 12V Thailand. Daihatsu Almost All Models (1990 - 2015). 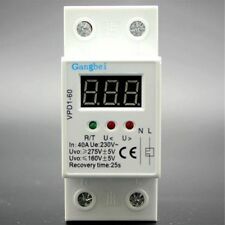 Genuine4 Pin Black Relay /Multi-Use Relay. Subaru Almost All Models (1990 - 2015). Daihatsu YRV Pair of relays. This vehicle part was removed from a year 2002 Daihatsu YRV F-Speed. Removed from a right hand drive car. This is a used part and may have marks and signs of usage. PA66 6F25 / V23074. DAIHATSU FOURTRAK. M929OKO 1994. GOOD WORKING ORDER. IF PARTS COMPATIBILITY IS LISTED THEN IT IS ONLY TO BE USED AS A GUIDE. FOR RIGHT HAND DRIVE VEHICLES. IF THERE ARE PART NUMBERS IN THE ADVERT, THEY'RE THERE FOR A REASON. THIS MUST BE CHECKED PHYSICALLY AGAINST THE PART YOU ARE REPLACING. Cuore 12v Plus (MK1 (L700)) (Non-ABS). Manual 5 Speed. About MGV Auto Spares Ltd. Our Opening Hours are:-. 989cc 54/40.5 12v. Engine Size. CASH ON COLLECTION. Vehicle Photographs & Guide. DAIHATSU FOURTRAK. RELAY 003 510 - 36. M929OKO 1994. THIS RELAY IS FROM A YEAR 2001 DAIHATSU SIRION 5 DOOR HATCHBACK 1.0 PETROL ( 989cc 3 cylinder engine) 5 SPEED MANUAL. Vehicle Photographs & Guide. This item is a used vehicle part and as such may have signs of general wear/handling. The table below contains further information. Internal Part Reference Number. 1298cc 85/64 16v. DAIHATSU CUORE HATCHBACK (PRE-FACELIFT 1998 - 2001) RELAY (Removed from a right hand drive car). THIS VEHICLE PART WAS REMOVED FROM A YEAR 2000 DAIHATSU CUORE 5 DOOR HATCHBACK 1.0i PETROL (Engine code EJ-DE) 3 SPEED AUTOMATIC. As title with part number, in good working order. FOR DAIHATSU SPORTRAK. Vehicle compatibility. Part specifications. Number Of Poles:3. Q4378Q,Q4379Q,Q4380Q,Q4382Q. Quantity Included:1. Mounting Type:Plugged. 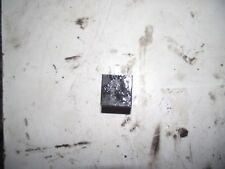 DAIHATSU SPORTRAK 1994 DIM DIP LAMP RESISTOR. IF THERE ARE PART NUMBERS IN THE ADVERT, THEY'RE THERE FOR A REASON. THIS MUST BE CHECKED PHYSICALLY AGAINST THE PART YOU ARE REPLACING. IF IT DOES NOT MATCH THEN IT IS MORE THAN LIKELY WILL NOT WORK ON YOUR CAR. Help us keep your car going for longer! WIPER RELAY MODULE. ref RIFILL 1875/1876 (FEB544). 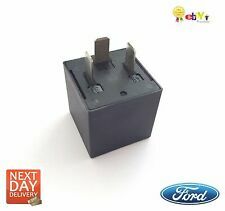 DAIHATSU YRV DOOR ECU RELAY. We're a professional, family run Vehicle Dismantlers located near Bridport in West Dorset. IF PARTS COMPATIBILITY IS LISTED THEN IT IS ONLY TO BE USED AS A GUIDE, FOR ACTUAL COMPATIBILITY THEN PART NUMBER OR DETAILS MUST BE CHECKED. THIS IS REMOVED FROM 2005 1.0 5-DOOR DAIHATSU CHARADE. ONLY ONE PART,USED CONDITION ,HAS MINOR SCUFFS AND MARKS,A LITTLE BIT DIRTY ,NEEDS CLEANING. DAIHATSU SIRION EL PRE-FACELIFT 1998-2001 RELAY (Removed from a right hand drive car). THIS RELAY IS FROM A YEAR 2001 DAIHATSU SIRION 5 DOOR HATCHBACK 1.0 PETROL ( 989cc 3 cylinder engine) 5 SPEED MANUAL. DAIHATSU SIRION. compare also by the part numbers ! Key number to 3: 363. 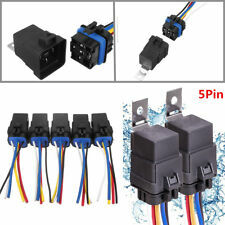 Finally comfort for all, universal module for all vehicles with 12 Volt to the retrofit. You get a module incl. cable and installation plan (English, but easy to understand). But that conclusion, is not still long also cylinder head machining, we can help you. AB, BT, FK, GY, HS, IM, IV, KA, KW, PA, PH, ZE, all Islands excluding IOW. - AB, BT, IV, KW, PA, PH, all Islands. This is a genuine Subaru OEM part. DAIHATSU YRV HATCHBACK 2001-2004 RELAY (Removed from a right hand drive car). THIS RELAY IS FROM A YEAR 2003 DAIHATSU YRV PREMIUM 5 DOOR HATCHBACK 1.3 PETROL ( 1298cc Engine) 5 SPEED MANUAL. 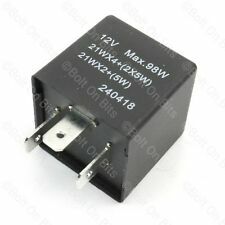 Genuine8 Pin Beige with Black Base Relay/Turn Signal Flasher Relay. Denso Part Number:066500-5041. Made inJapan by Denso. GenuineDaihatsu Part.